Australia's women's national team boss Alen Stajcic hasn't had a lot of down time recently. 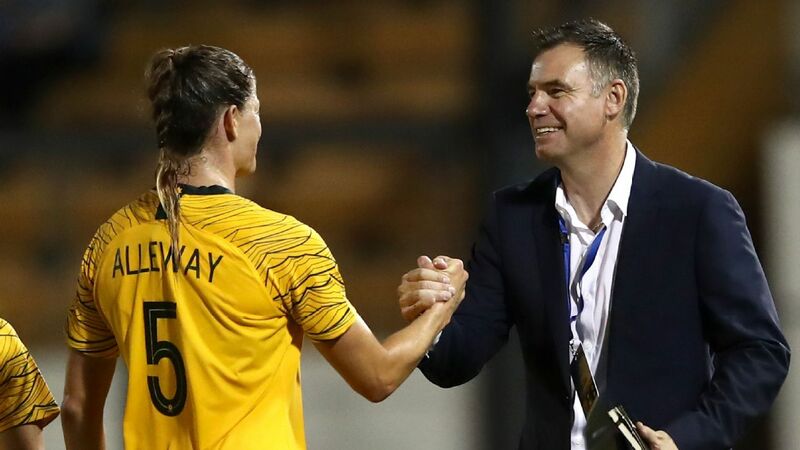 With the Matildas riding an unprecedented wave of popularity the head coach is not resting on his laurels and is firmly focused on what's ahead for the team. ESPN FC caught up with him from Nanjing, China, where the former Sydney FC coach was observing the campaign of the Young Matildas in the AFC U19 Women's Championship and taking the opportunity to watch the Chinese women's national side in action ahead of their trip to Melbourne in November. With interest in the Matildas at an all-time high, Stajcic is understandably thrilled with the public perception of the national team. "I've always hoped it would come, [I] knew it would but didn't know when it would happen," Stajcic said. "It's great that it happened on the back of our performances on the field. It's great that those performances, not just the wins but the way we played sparked that interest." With matches against China scheduled for Nov. 22 and Nov. 26, the aim is to keep building on the work of the past year. "This period has been about preparation and development for the Asian Cup and the World Cup and these matches are a continuation of that," Stajcic added. "We've used over 20 players in this time and we continue to work towards the best possible combinations to excel at these tournaments. "We've played China four times in my tenure as head coach, had three 1-1 draws and a 2-1 win at the Algarve Cup thanks to a late Ellie Carpenter goal in the 85th minute off a corner. "So it's a good opportunity against quality opposition to continue our development in preparation for the big tournaments that lie ahead." 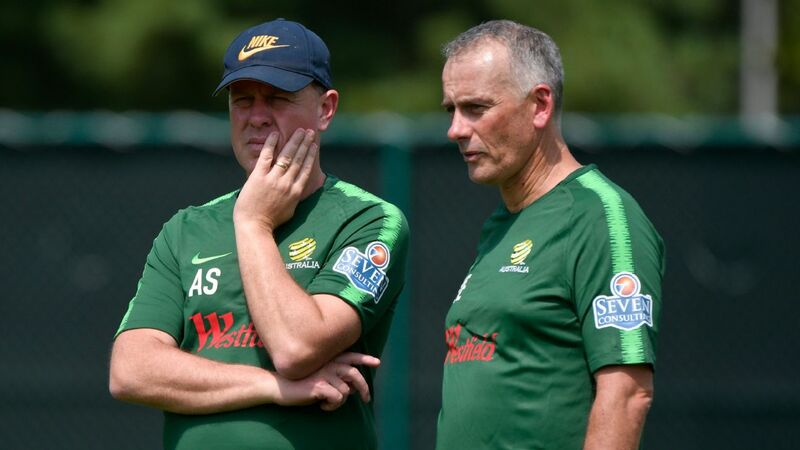 Stajcic continues to keep his focus on those big tournaments, specifically the silverware on offer at the upcoming Asian Cup, World Cup and Olympics, acknowledging that despite the recent impressive results, the Matildas are not yet at the top of the tree. Alen Stajcic wants silverware for the Matildas, beginning with next year's Asian Cup. 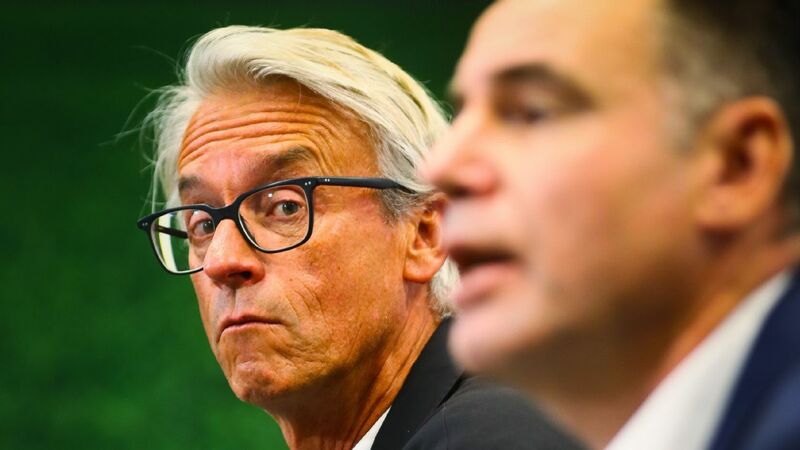 "I think the FIFA women's rankings -- unlike the men's side -- are a pretty fair reflection of the world order," he said. "There may not be as much between the teams at the top but I feel that to a large extent they are in a reliable order. "USA, Germany, France, England, Canada and so on, there is more depth in women's football now than ever before as evidenced by the Euro Final where it was the Netherlands and Denmark in the final. They are all tough to beat." First though, there is a new season of the W-League to watch and, with a few rounds to be completed before the Matilda's next international fixtures, Stajcic says there is still time for players to show what they are capable of and to put themselves in the frame for selection. The W-League, he declares, is in a good place and an important cog in the women's football machine. "It's such a positive to have a strong domestic league, lots of things have happened to push the game forward on and off the field," Stajcic said. "It's been a really exciting time for women's football and the progress is evident in all aspects. "There is more professionalism -- not just in the money but across the board. The fact we can attract top shelf internationals to play here shows the improved standard and the respect this league has gained around the world. "All of these things can only serve to make our own national team even stronger." Refusing to be drawn on the possibility of a dark horse in the competition, Stajcic predicts a positive year for the Queenslanders. "I think Brisbane Roar might have a good year and perhaps make a return to the top four," he said. "They have a lot of players in strong form, plenty of Matildas in their squad and good depth. "Mel [Andreatta] is doing a great job, she's in her second year so things are more stable and there is more experience so while I expect the usual suspects to be in the mix come finals time, I think Brisbane will have a much better year." 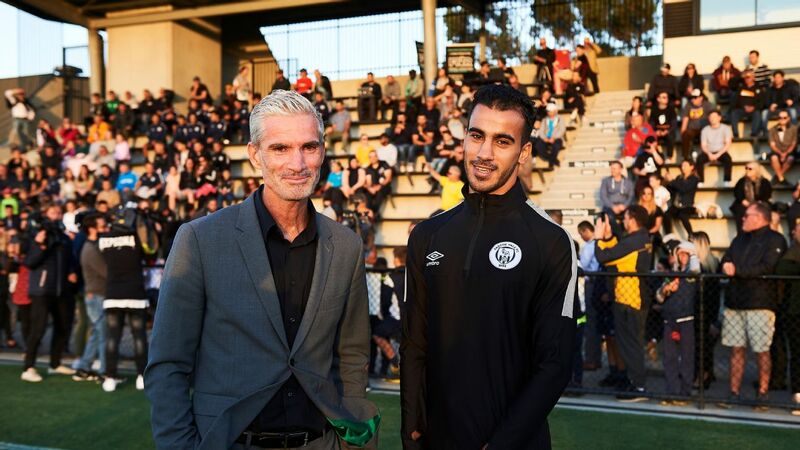 One of Stajcic's former charges, Heather Garriock, will herself be in the head coach role with Canberra United, a move that earned praise from the man that coached her at both NSWIS and Sydney FC. "Despite this being her first W-League role, Heather has been coaching in some capacity for a long time now," he said. "This is a great challenge and exciting for her, she has assembled a good squad and most importantly she has self-confidence and belief in what she is doing. Sam Kerr has continued her brilliant form, scoring in Perth's opening game of the 2017-18 W-League season. "All the attributes and qualities she had as player, she will bring to this role and the prospects are good." Garriock will no doubt have her work cut out in a season which Stajcic expects to be closer than ever. "All the squads have built depth and there is not a huge difference between seven or eight of the sides," Stajcic said. 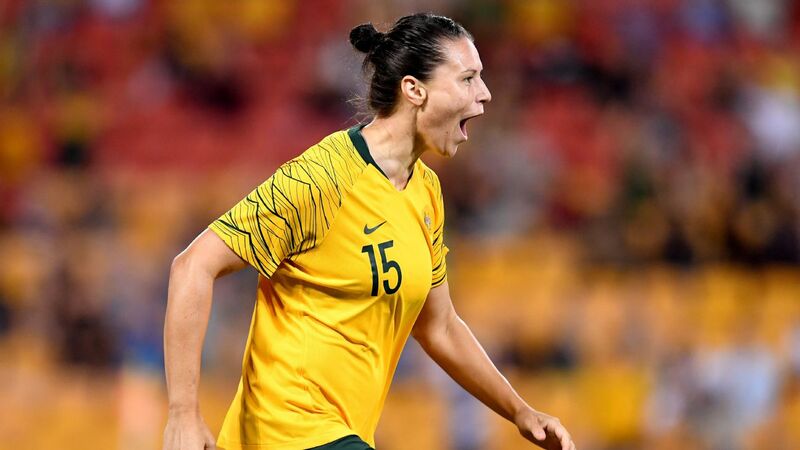 "Melbourne City's acquisition of Kyah Simon and Alannah Kennedy means they have even more depth than before and they remain the one to beat but really the competition is going to be tighter all round." Regardless of which side will lift the trophy in the 10th season of the W-League, Stajcic is sure there will be plenty of interest around the current shining light of Australian football, Sam Kerr. "Sam is riding a wave of unbelievably consistent form. Her confidence really exudes into the rest of the team, she has such an infectious character and her spirit has really been a boost for everyone," Stajcic explains. "Her success motivates the others to strive for the levels she has attained. As a coach it's rewarding the way she has total belief in the way we want to play, she has embraced the philosophy and values and is a real leading light. "It starts with the defensive effort, everything starts around her, actually it's around the No. 9, whether that's been Michelle [Heyman], Kyah or Sam in the last 12 months. For Sam, she has creativity and a real x-factor which is evidenced not just in her scoring but in setting up others -- her assists." 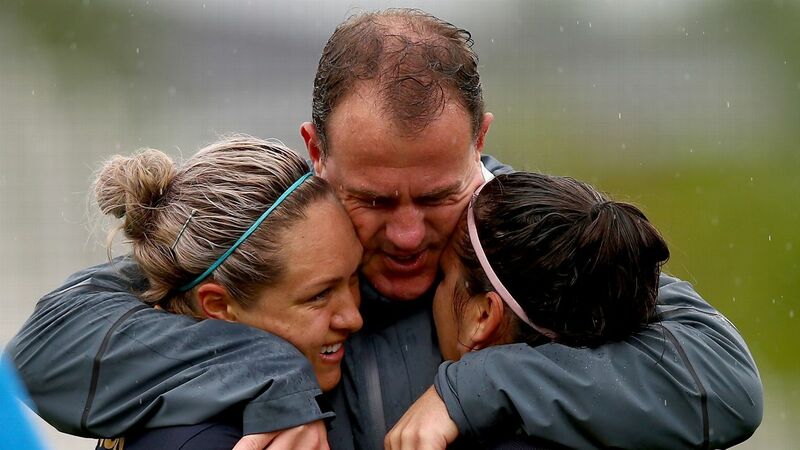 However as Head Coach, Stajcic's focus is on the team as a whole and continuing the Matildas current trajectory. "We have always wanted to be a world class team, a top three contender. So while that is our target we will absolutely be challenging for the Asian Cup, the World Cup and the Olympics." ESPN Australia/New Zealand columnist Stephanie Brantz has spent the past 20 years excelling in the coverage of football and women's sport.